Our Fall Zen Retreat will take place from Friday, November 3, to Sunday, November 5, 2017, at ECCO (Episcopal Conference Center Oakhurst) www.eccoyosemite.org. ECCO is located15 miles from Yosemite National Park, in a peaceful mountain setting. 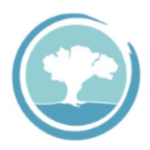 Founded in 1982, ECCO provides lodging, meals, and meeting and retreat facilities, with a mission of renewal and beauty, education, growth, and service. 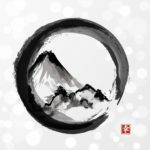 The retreat will be a traditional Zen retreat (session), with periods of sitting meditation, walking meditation, dharma talks, practice discussion, service, work and rest periods, and shosan. Both beginning and experienced meditators are welcome. The retreat will be taught by Baika Andrea Heaton, Sensei, of Mt. Diablo Zen Group, Myogo Mary-Allen Macneil of Bodhi Oak Zen Sangha, Shinzan Alice Tulloch of Facing the Mountain Zen Group, and Joshin John Busch of Mt. 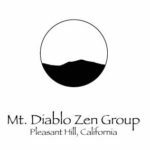 Diablo Zen Group. We will make every effort to accommodate dietary, accommodation, and seating needs. A small refrigerator is available in the conference room for personal food. Coffee and tea are available all day.